Brief Synopsis – The final chapter in Frodo Baggins’ journey to destroy the One Ring of Power. My Take on it –This is an extremely well made Epic movie that was s o successful that it even forced The members of the Academy to finally give in and award Best Picture to a movie in a genre that was not part of their usual repertoire. It is also unique in being the only movie sequel to win BP when the previous versions didn’t win. What’s interesting about this movie is that it really can’t stand alone without the previous two movies since they all together tell a complete story and each part on its own feels incomplete. This actually makes a lot of sense because all 3 movies were filmed simultaneously over a period of 16 months and were only released in 12 month intervals. This movie does a wonderful job of tying together all the storylines that ran thru the first two movies and bundles it all in a neat package in the end. One of the many criticisms of this movie is the fact that it seems to end numerous times and then still continued. I guess that is partially because of the way Tolkien wrote it, but if you stand steadfastly until the end, you will feel rewarded by an amazing motion picture experience. This movie is both the Best Picture winner with the longest run time and also the longest title (both in words and in letters). It is also one of only 4 BP winners to sweep EVERY category that it was nominated for. The other three are It Happened One Night (1934), Gigi (1958) and The Last Emperor (1987). It won 11 (of 11) Oscars – Best Picture, Director, Adapted Screenplay, Film Editing, Art Direction, Costume Design, Makeup, Original Music, Original Song, Sound Mixing and Visual Effects. It is tied with Ben-Hur (1959) and Titanic (1997) for the most Oscar wins for a movie. Bottom Line – Excellent movie done extraordinarily! Fitting end to the trilogy. One of the best epics made. Highly Recommended! It one 11 of 11, but only because the first two didn’t win enough. Great work! LOTR is my favourite trilogy. I’ve seen them all so many times i cannot recall. In any other film, the multiple-endings thing would annoy the hobbit out of me, but i like it here only because it means the trilogy lasts that bit longer. Read all reviews Rob, all very good! I think i agree about the first being the best, though i’m also with you in that they’re all essentially one collective viewing. I didn’t say the multiple endings bothered me, I said there are many who didn’t like that. Have you watched the theatrical releases or the extended edition? Yeah i know! I’m just agreeing with you, in badly worded way, haha. I’ve seen and own both versions, and prefer the extended editions! Loved this one too! I can still remember the audience moaning when the movie ended multiple times haha. I’m glad this movie cleaned up at the Oscars. A simply stunning end to a stunning trilogy. The three together are up there with my favourite films. A real masterpiece. Nice review Rob. Hi Rob! I saw you visited my blog so I thought I’d return the favor. 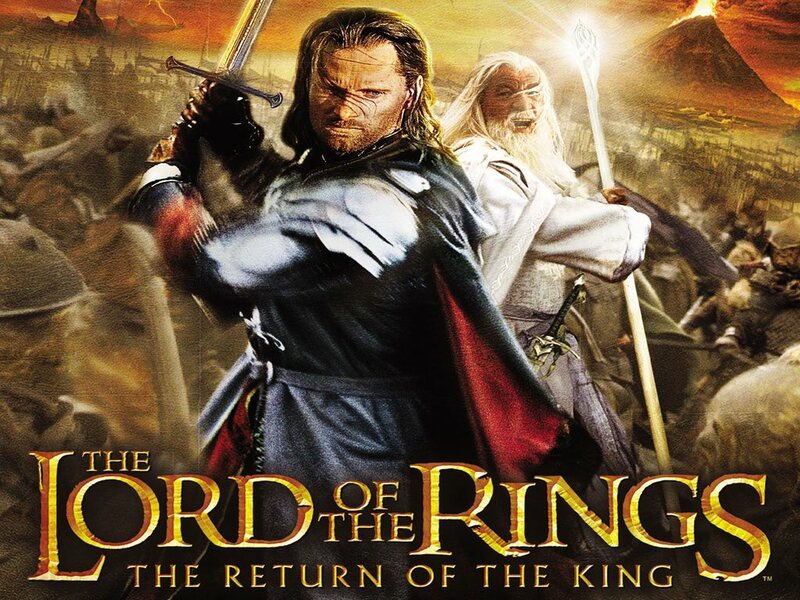 Great stuff here, I’ll definitely be back, hope you will too 😀 LOTR is one of my favorite franchises, I have the extended Blu-ray version still waiting to be watched though. It’s most definitely Oscar worthy! Another stellar post. This movie was just fantastic, and the extended editions are the only way to go. That scene where they “treat” with the Mouth of Sauron THRILLS me like few things in the world. I cannot get enough of this trilogy ever! Great milestone! 😀 Well done, it worked out very well. AH… now I want to watch this again (my other half will shoot you, I watch this trilogy once every two to three months)!